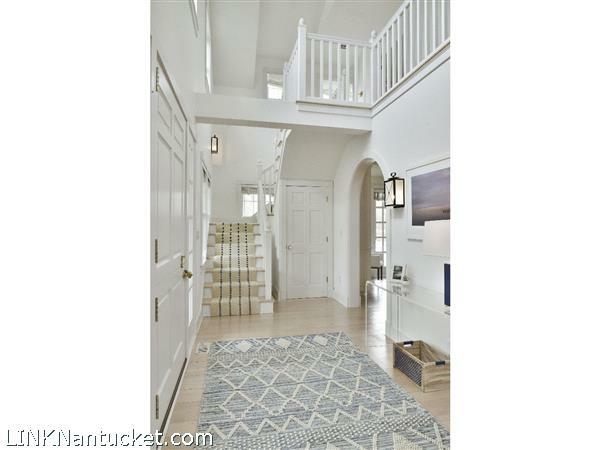 First Floor: Beautiful entry through a custom wide Dutch door to foyer with cathedral ceiling and double staircases. 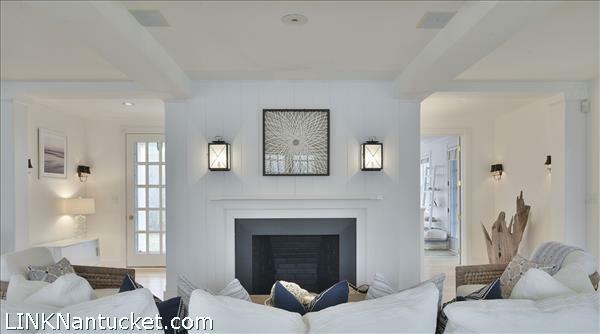 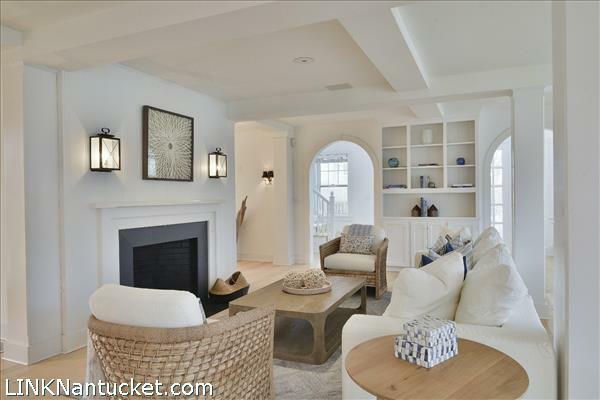 Lovely arched openings into a grand open living, dining and kitchen with fireplace and custom built-ins throughout. 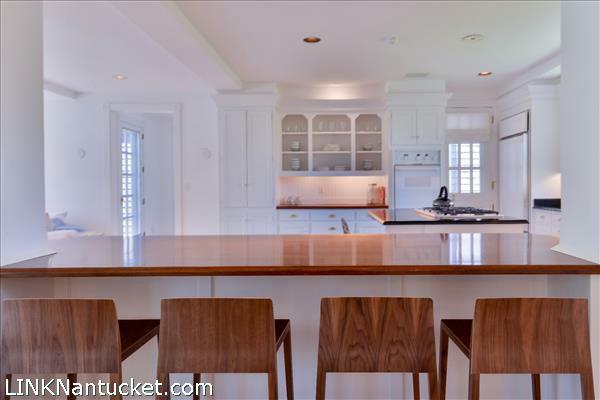 A large kitchen with functional island offers seating and cook top along with double ovens. 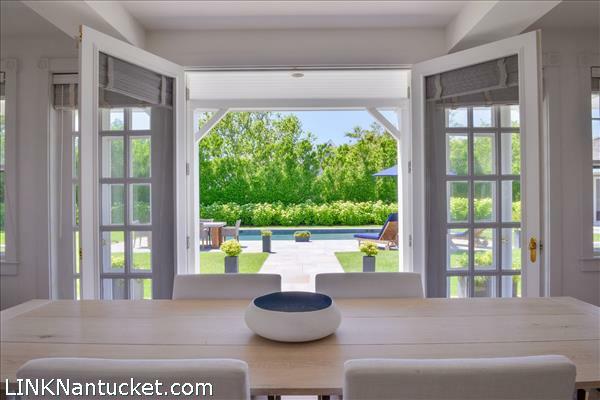 French doors to the wrap around porch. 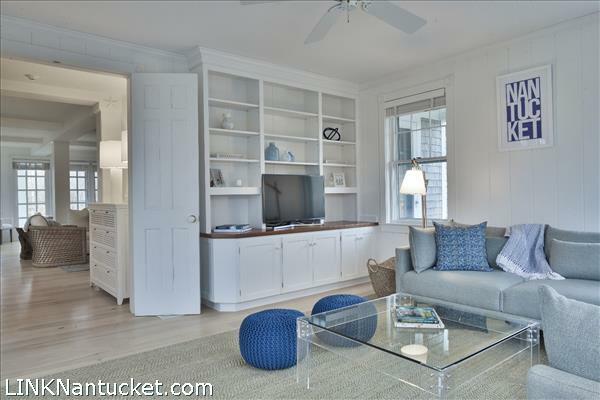 A den with custom built-in for media equipment and additional entertaining space for family and friends. 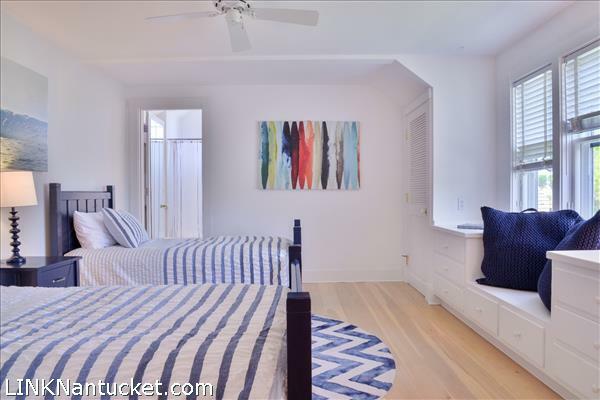 Lovely first floor master bedroom with private bath. 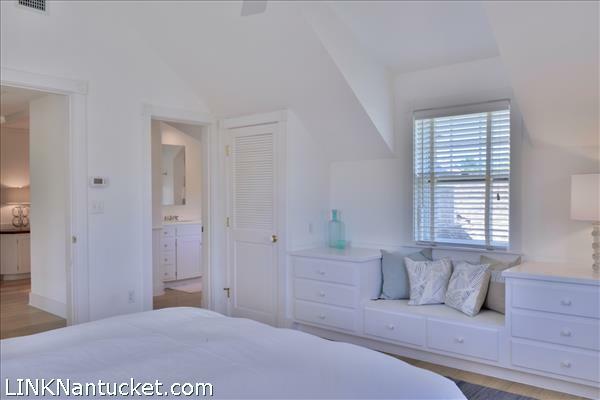 Large laundry/mud room with utility sink, closets for storage and back entry. 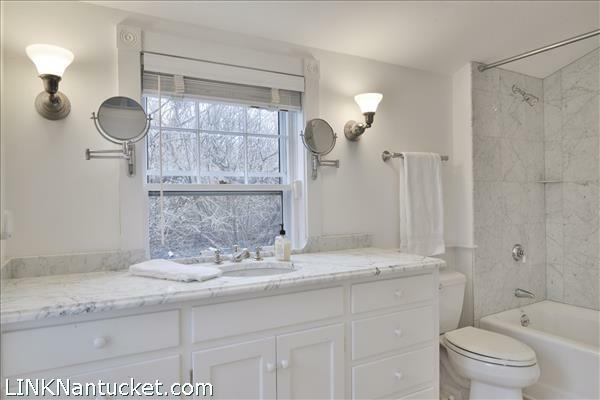 Powder room for guests. 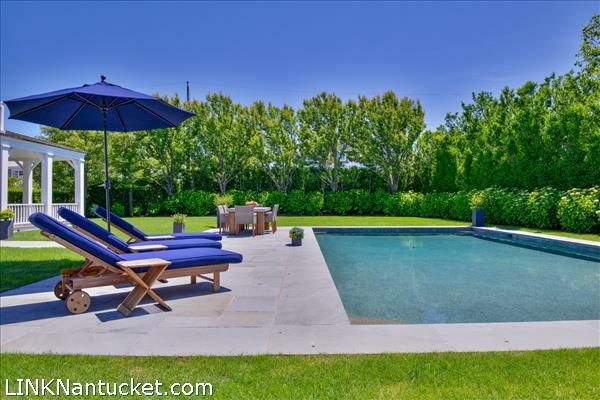 Incredible covered porches to enjoy the yard and surrounding privet provide privacy for the pool and pool cabana. 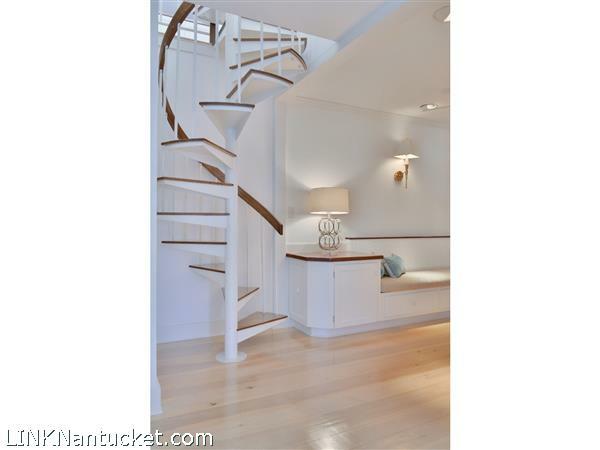 Second Floor: Open and airy double staircase leads you to a second master bedroom along with two additional guest bedrooms all with private baths. 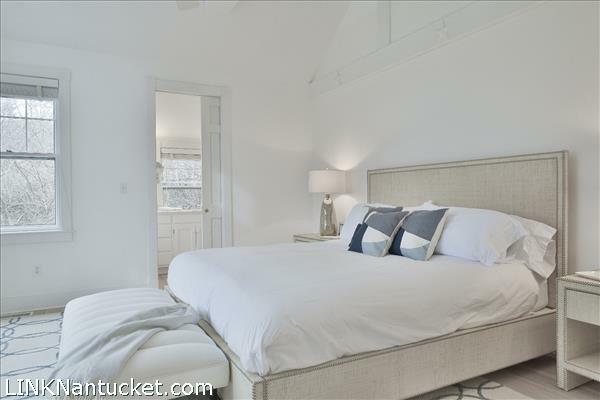 Second floor master bedroom offers a balcony overlooking the pool and cabana. 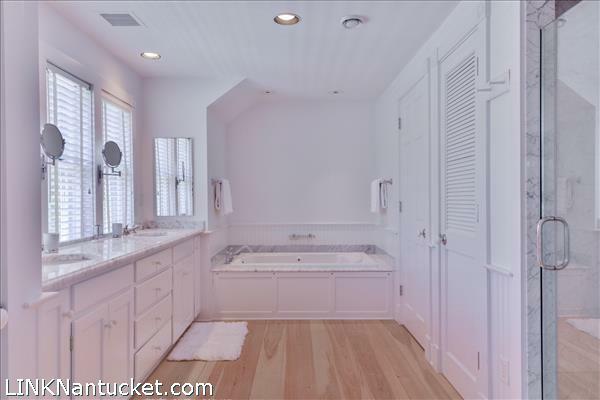 A large private bath with double vanity, soaking tub and walk-in tiled shower. 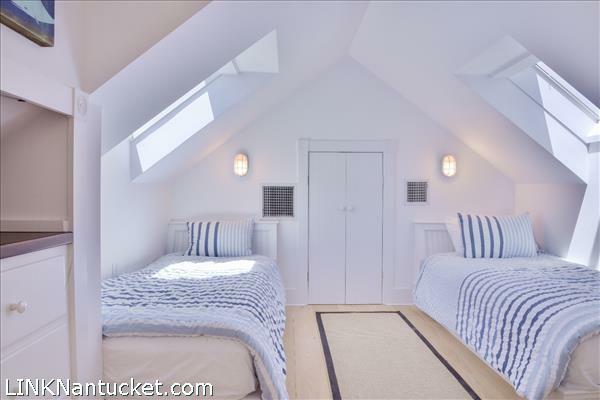 Two large guest bedrooms are separated by an additional den area with spiral staircase to access third floor and then to the roof walk. 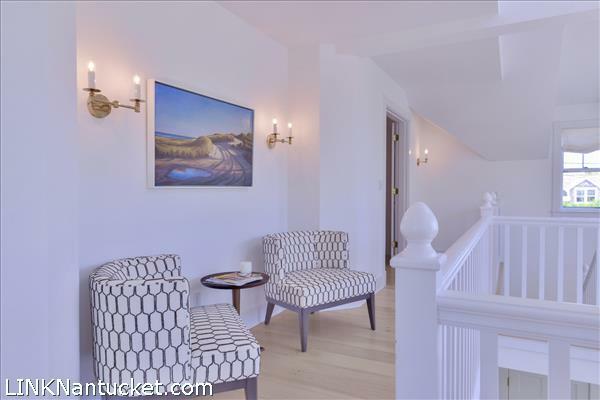 Third Floor: Den area and a hall full bath. 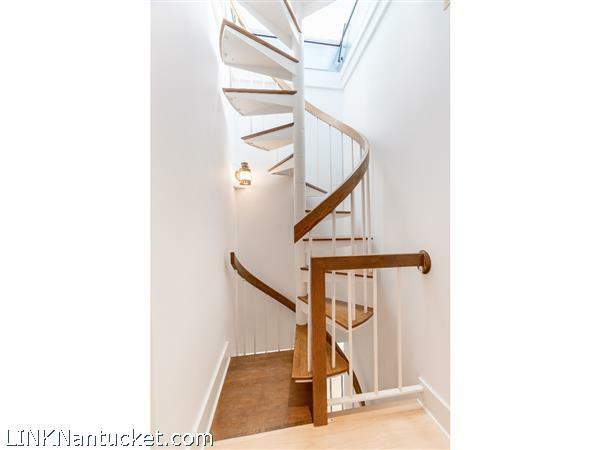 Spiral staircase to an incredible roof walk. 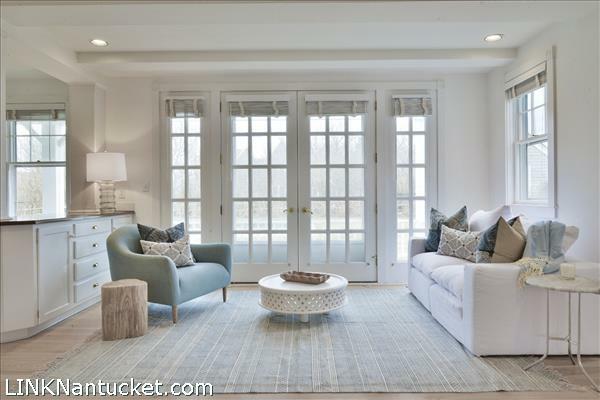 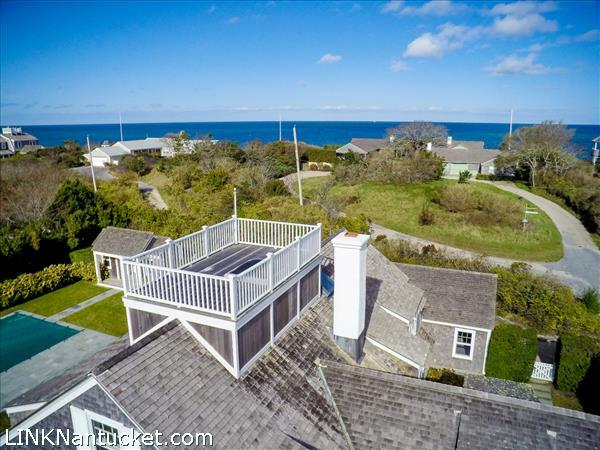 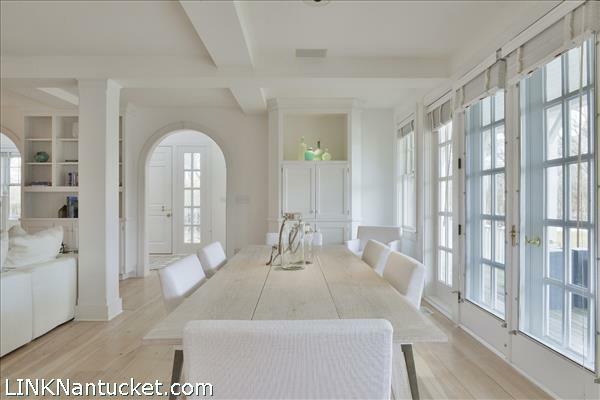 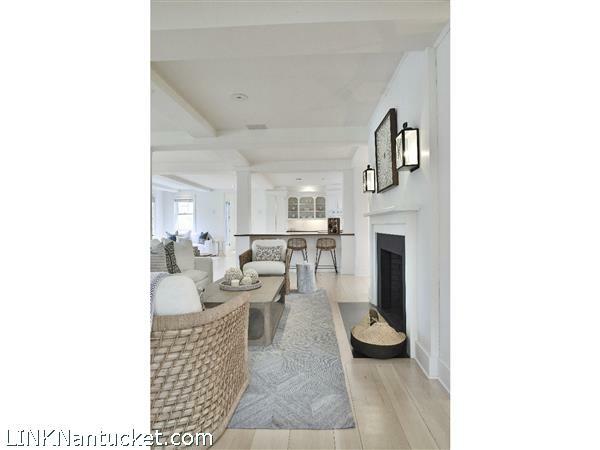 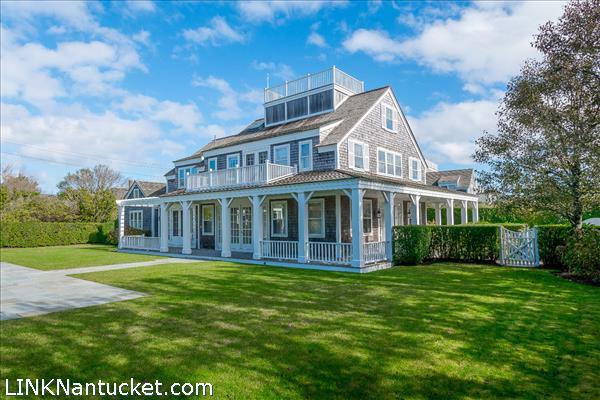 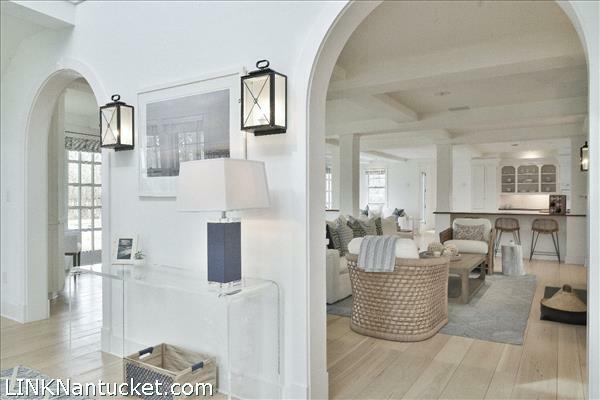 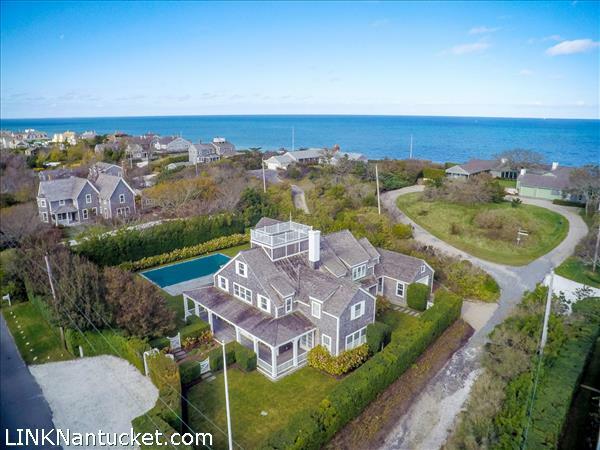 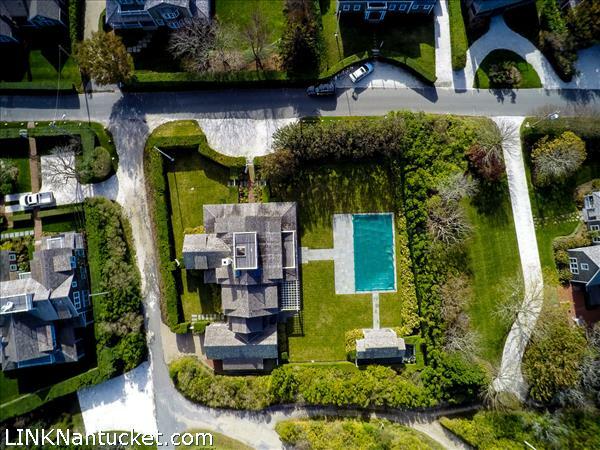 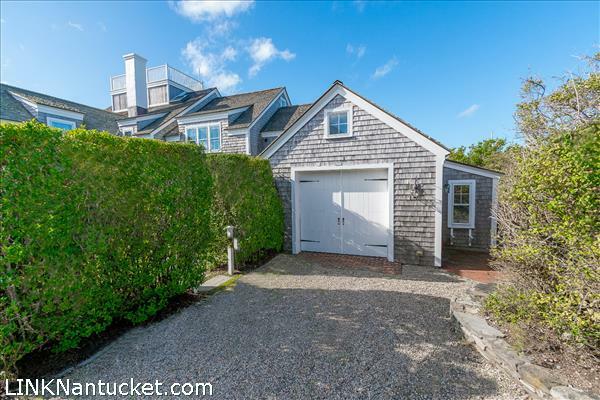 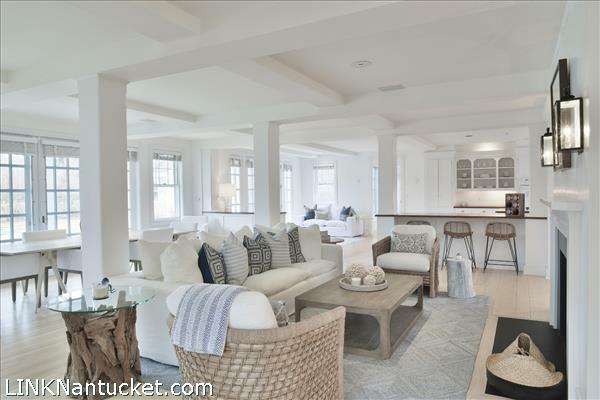 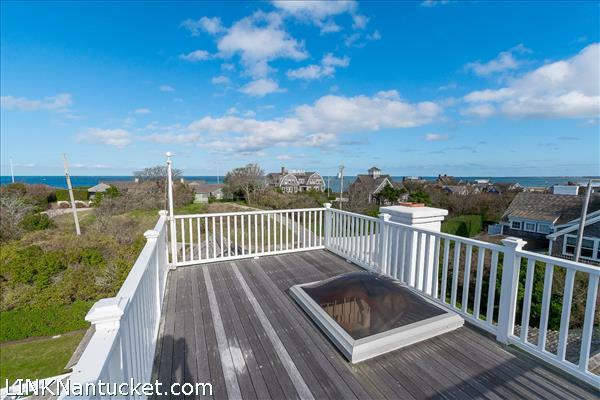 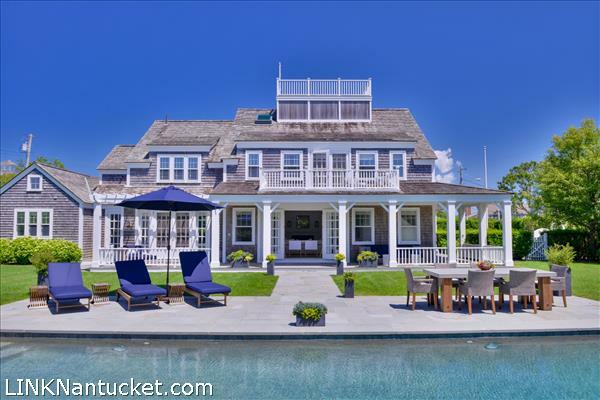 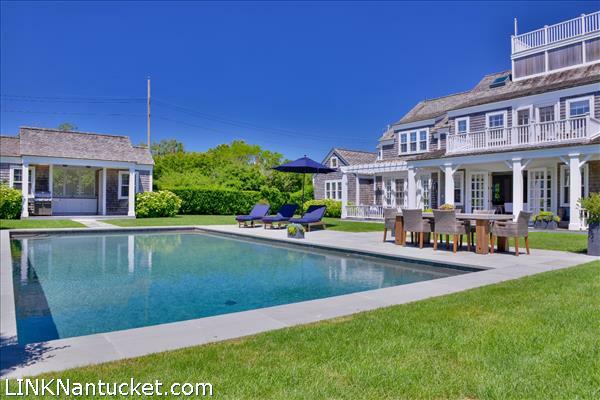 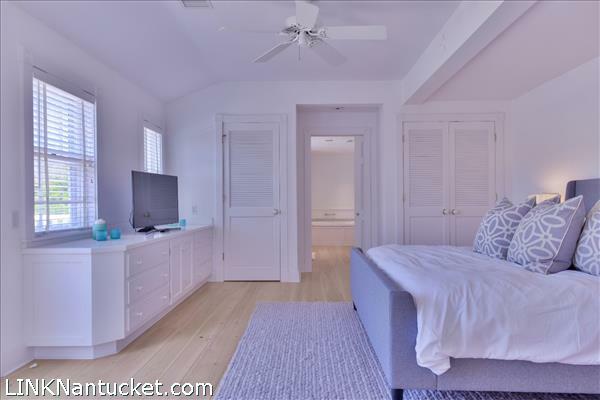 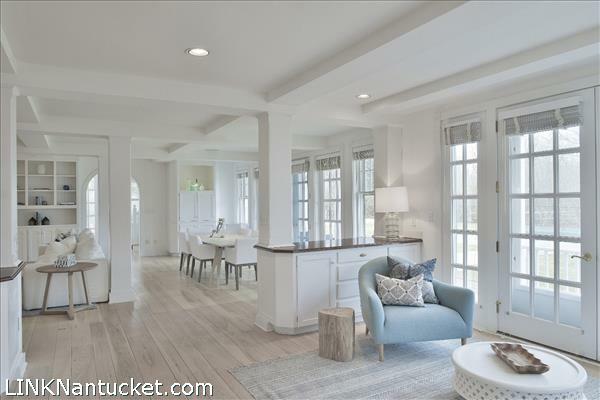 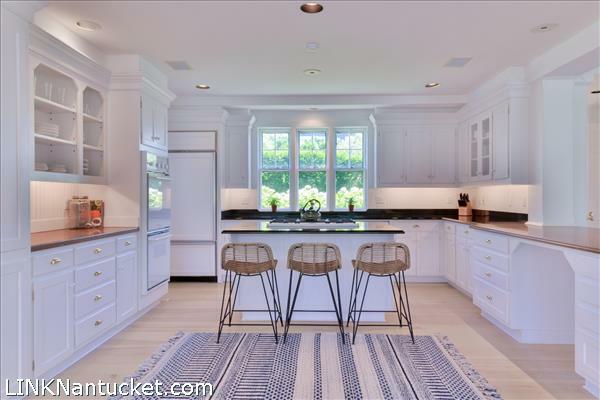 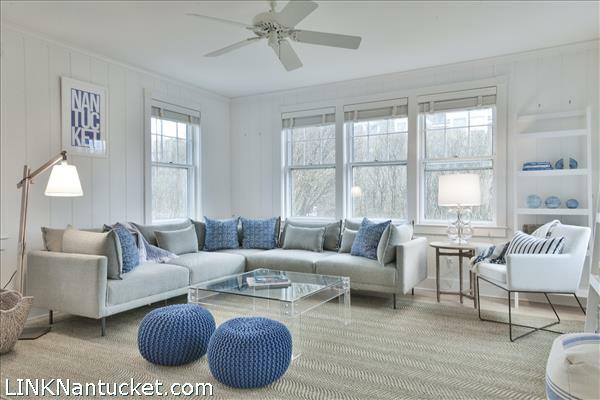 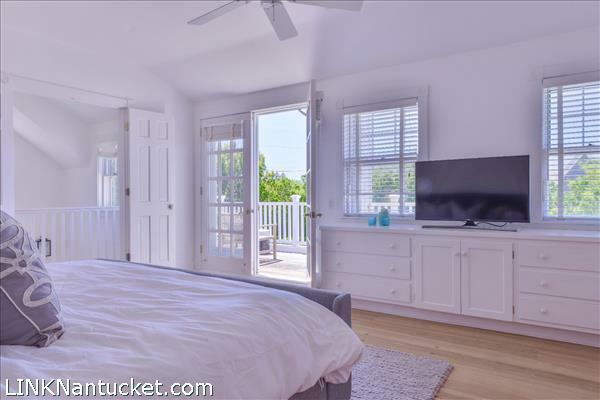 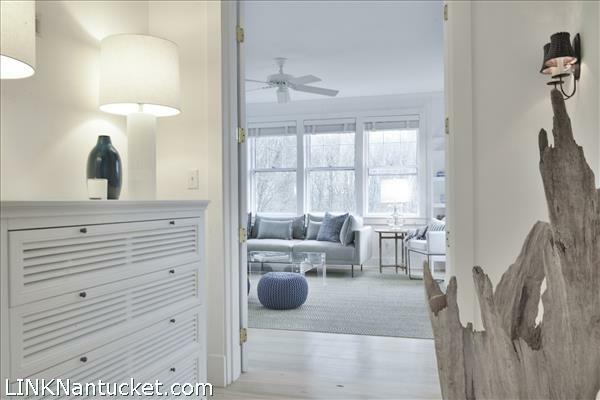 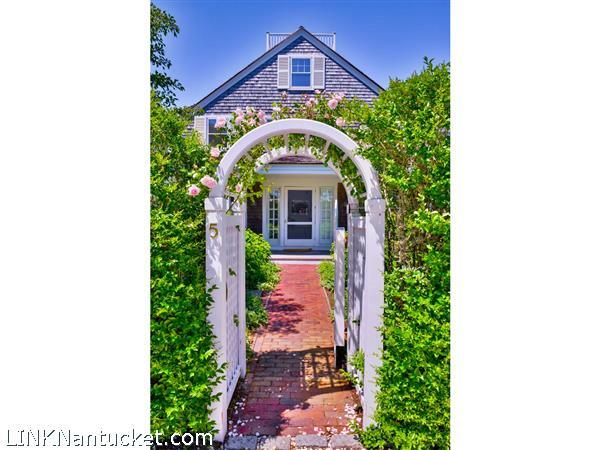 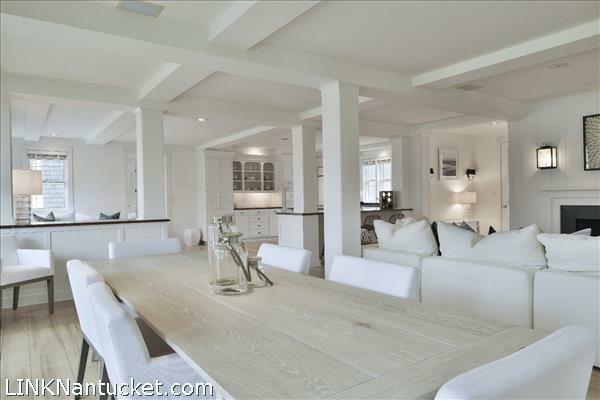 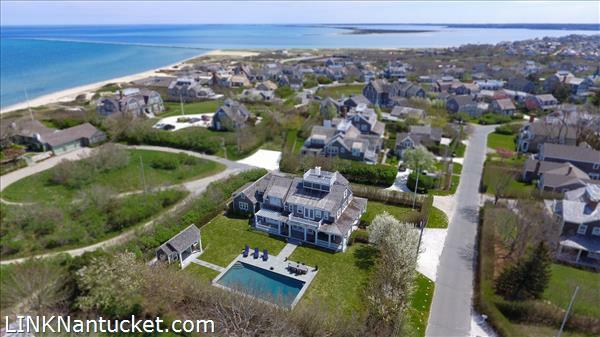 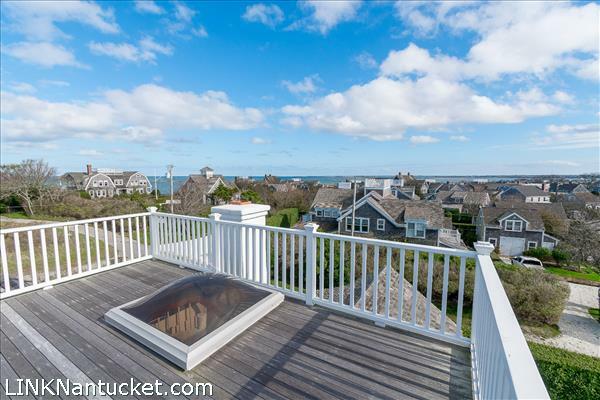 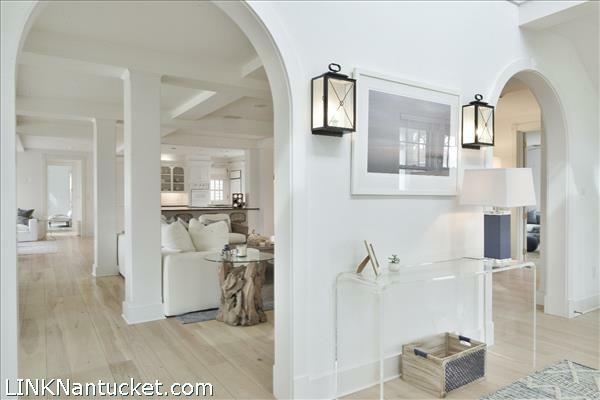 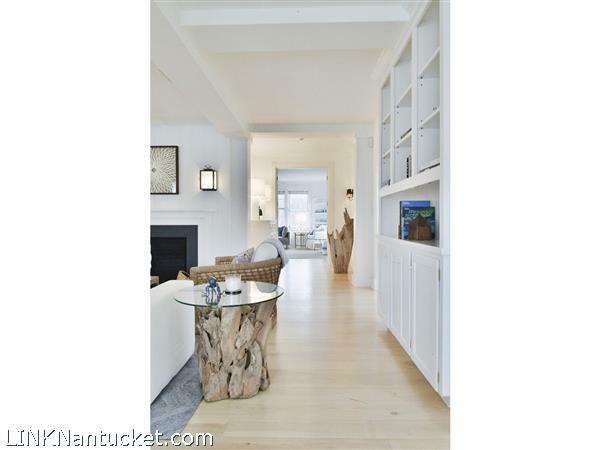 Roof walk offers unparalleled 180 degree views of Nantucket Sound, Harbor, Town, Coatue and Great Point.